Lake Oroville can be fun or frustrating, depending on your goals. If you’re looking for a nice lake – clean water, camping, boating and fishing – that also has a ton of fish, then Oroville is a fun and enjoyable place to be. However, if you’re looking for an easier shot at quality fish, then you might want to head to Clear Lake, Berryessa, or the Delta. Lake Oroville sits at 900 feet of elevation and is approximately 25 miles long, end-to-end, with about 150 miles of shoreline. Located an hour north of Sacramento, Oroville is a relatively short drive from just about anywhere in the greater Bay Area. There are four river arms, or forks as they’re called here: South Fork, Middle Fork, North Fork, and Lime Saddle. The South Fork and Lime Saddle are where many of the elusive largemouth tend to be found. The North Fork and Middle Fork generally have cooler inflowing water, and on warm days you may find a refreshing breeze in the North Fork. Spotted bass is the predominant species in Oroville, but the lake also holds trout, sturgeon, salmon, and catfish, along with crappie and bluegill. The forage base consists of pond smelt, threadfin shad, crawfish, and whatever else might be unfortunate enough to slip into the water that the bass can get a hold of. There are a few smallmouth and largemouth, but don’t expect to catch many of them. As summer begins, the spotted bass have just finished spawning and are working to fatten up. More often than not they are fairly easy to catch. However, the average fish is a skinny 10- to 12-inches long. There are a number of quality bass at Oroville, and at times they may reveal themselves, but I believe the lake conditions compel many of the bigger fish to suspend offshore, making them difficult to locate and catch. This time of year, the fish seem to scatter and can be caught on a variety of cover. The river arms are usually a good place to start; this past week we averaged 40 fish a day from the North and Middle Forks. The South Fork and Lime Saddle had fewer fish of similar quality. Points leading into creeks and coves are generally a good bet almost any time of year. Lately the pockets have been holding more bass, however. Choose any of the river arms and begin a mile or two toward the back. Start by targeting pockets or coves that show noticeable signs of recent water having washed into the lake from above. During the early morning hours focus on pockets on the eastern bank providing the most shade. Most of the river arms have plenty of small pockets in which one can travel down the bank, hitting the points in between, and then the sides leading into and out of the pockets. Once the sun gets high don’t be afraid to fish in direct sunlight and up shallow. After fishing down a bank for a bit you should have an idea where the fish are located. Spots usually bite pretty quick, so if you’re not getting bit, move. Move down the bank, to the other side, or to a deeper pocket or small creek channel. This time of year, the fish are in mere inches down to thirty feet. Spotted bass move frequently, so don’t get fixated on one depth; they can move at any time. If you want a lot of action, dropshot a small 2- to 4-inch worm in a shad or green pumpkin color. This combo will yield a lot of small fish and an occasional good one – but be prepared to go through a lot of worms. Moving up the food chain to target better fish, a weighted wacky 5-inch Yamamoto Senko in green pumpkin, cinnamon, or clear is a good choice. A shakey head with a 6-inch worm, rigged weedless to come through debris, works well for tossing right in the middle of the cuts. A football jig with a Yamamoto Spider Grub is another good choice for keeping the little ones away – this is also a good choice to see if the fish have moved deeper. 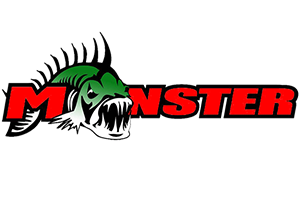 Small Keitech swimbaits and Yamamoto twin tail grubs rigged on a darter or ball head jig produce fish here. There’s generally a good topwater bite in the mornings. A River2Sea Bubble Pop, Zara Spook, small Whopper Plopper will all work. If you’re targeting big bass the spook or larger Whopper Plopper are viable options. Reaction baits work well on Oroville early and late in the day, if there’s a mud line, cloud cover or wind. And … sometimes for no reason these spotted bass go shallow and bite. Spinnerbaits like a 1/2-ounce Revenge Deep Runner in silverside with gold and silver willow blades work on almost any day. Additionally, a white spinnerbait with white blades works well on cloudy or windy days. Crankbaits also produce good numbers of fish. I like the DUO Realis M11A in a crawfish pattern. It dives to about seven feet and easily deflects off of bottom cover. Ripbaits and jerkbaits play here, too. The DUO Realis 110SP in morning dawn or ghost minnow are productive choices for me. Considering that the spots may be anywhere from shallow to deep, I’ll start right on the bank and work out deep. In the early hours I’m generally focusing on only the top ten feet before going deeper as the sun gets up. Also, when targeting the bank, I’m generally working at a 45-degree angle until I find the right depth, then adjust as I go. Dropshotting: Toss your bait to the bank and work it out, giving a little shake as it slides out deeper. Remember to manipulate your line to keep the bait on the bottom as you work it into deeper water. Wacky Senko: Cast to the bank then lift and drop your rod, leaving a bow in your line. Pay close attention to the line as the bait shimmies to the bottom. Once it hits bottom, lift and drop again, working the bait out to 10, 20, and even 30 feet. Football head: Cast the jig to the bank, hop it up a few feet and let it fall to the bottom. Repeat. If you’re one who prefers a faster pace, this is a fun technique as the fish are biting the jig on the fall. Another way to work the football jig is to drag it. Try hopping it down to 5 or 10 feet or so, then drag it – this will let you know if the fish want it on the bottom or not. Shakey Head: You’ll toss this to the bank then drag it, shake it, moving it out deep. Try twitching the bait without moving it too far just by shaking the slack in the line. The shakey head, since it’s rigged weedless, is a good option when fished around underwater trees or debris. Yamamoto grub or Keitech: I like these baits on a small 1/16- to 1/18-ounce ball head jig, which I’ll cast shallow and then swim back with a steady retrieve through the middle water column of 5- to 20-feet. Topwater: With walking type baits like a Zara Spook, cast it close to the bank, let it sit for a few seconds, then twitch the slack in the line to sashay the bait back and forth, varying the starts and stops. Retrieving the Plopper is straightforward: Cast to the bank and retrieve at a steady pace, keeping the bait on the surface and the tail rudder chugging. A Popper I’ll cast close to the bank, giving it a short twitch, causing the lure to produce its signature pop and spurt of water. Then I’ll let it sit for a brief moment and repeat, varying the time I pause and pop the bait. 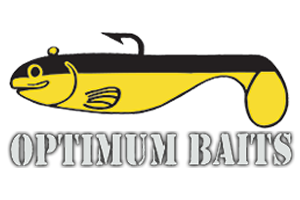 Spinnerbaits: Similar to other baits, I’ll cast it to the bank at a 45-degree angle, bringing it back with a slow and steady retrieve. When getting bit during the retrieve you may feel a strike, but don’t set until you feel the weight of the fish. Spots tend to slap at the bait several times before getting hooked. Crankbaits: I like casting cranks up shallow, keeping the boat fairly close to the bank. This way the bait can hit bottom or strike other shallow cover with a medium slow retrieve, all while staying in the strike zone longer. Dropshot: Use a 3/16-ounce cylinder-style weight, and a 12- to 20-inch drop leader with a #1 or #2 Gamakatsu dropshot hook. Senko: I like a 1/0 Gamakatsu dropshot hook for 5-inch Senkos with a 1/16- to 1/8- ounce nail weight pushed flush into the flat end of the Senko. Shakey head: A 3/16- to 1/4-ounce Frenzy Baits Nail jighead with a 6-inch Robo worm rigged weedless. I hope this article helps you put a few more fish in the boat and have good time getting there. Mark Lassagne, a professional tournament angler and guide, is the creator of the popular quarterly publication BASS ANGLER Magazine. To book a trip or find out more about Mark, visit www.marklassagne.com.